Dr. Joel L Lamm, MD is a Doctor primarily located in Hicksville, NY. He has 40 years of experience. His specialties include Dermatology. He speaks English. Dr. Lamm has received 2 awards. The overall average patient rating of Dr. Joel L Lamm is Great. Dr. Joel L Lamm has been rated by 45 patients. From those 45 patients 6 of those left a comment along with their rating. The overall rating for Dr. Joel L Lamm is 4.1 of 5.0 stars. Suffered from severe acne, saw 3 dermatologists in the past with no success, finally dr. lamm was able to come up with a regimen that cleared my skin! Others with acne ask me how I did it and I tell them to see dr. lamm! After a botched Botox job from NYC, I went to this local dermatologist and got a much better result. Long Islands best kept secret! Dr. Lamm is not that personable (he is quick and to the point). But he is an expert at creating a natural and rejuvenated appearances with Botox and Juvaderm. He has taken 5-7 years off my appearance -- and he does it during my lunch hour. IMO - this is the guy to see for turning back the hands of time... while looking completely natural. At the Dermatology Center of Long Island, we offer cosmetic skin services for men, women, and young adults. Our services range from facials and chemical peels to laser hair removal and microdermabrasion. We also offer skin care products such as MD Fort̩ and SkinCeuticals to keep your skin looking and feeling healthy between visits. Please visit http://www.lammdermatology.com for more information. 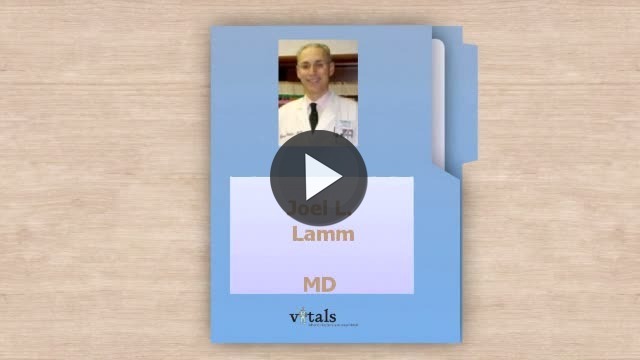 Take a minute to learn about Dr. Joel L Lamm, MD - Dermatology in Hicksville, NY, in this video. Dr. Joel L Lamm is similar to the following 4 Doctors near Hicksville, NY. Have you had a recent visit with Dr. Joel L Lamm? Select a star to let us know how it was.